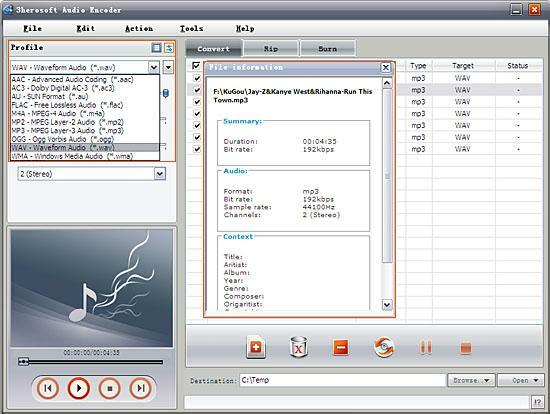 Have you ever been confused about how to convert MP3 to WAV files? 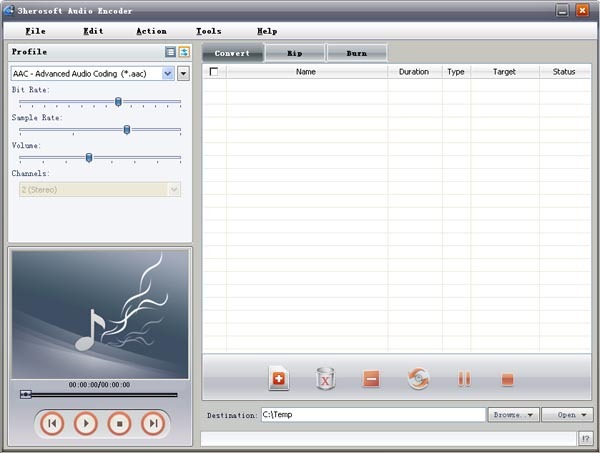 In this article, we will show you detailed guide to complete MP3 audio to WAV conversion with this 3herosoft Audio Encoder. 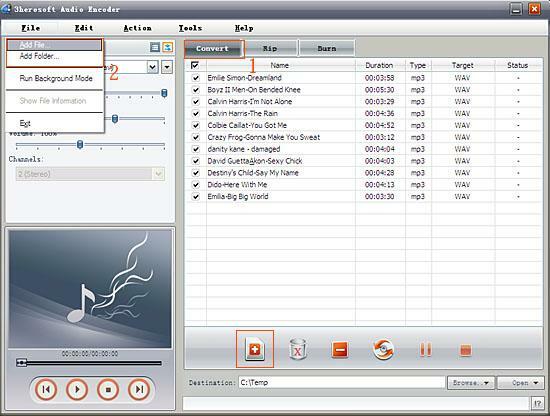 Launch 3herosoft Audio Encoder, and in the main interface, click the “Convert” tab te get the Audio Converter function. Then load audio files from local by clicking "Add" button or select "Add File…" option in the "File" menu. 1)Open the original file information dialog by double-clicking the selected original file. 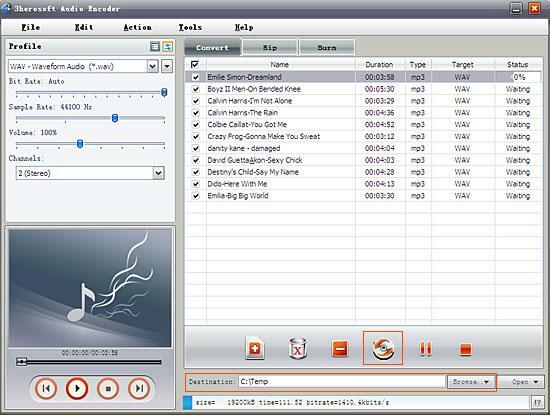 It will show you the preferences of the original file such as: Duration, Audio Format, Bit Rate, Sample Rate, Artist, title, etc. 2)Specify the target file format you want to convert. Choose one or several files you loaded and then select output profile (take "MP3-MPEG Layer-3 Audio" for example) from "Profile" combo-box. To set the folder that you want to save your target files, you may select the output folder by clicking "Browse…" button or directly enter a path in the "Destination" box. "C:\Temp" is set as the default destination folder. After done, just click "Convert" button to start your conversion. You can download the software from HERE..! !